Looking for a way to celebrate the Fourth of July? Check out Seafair Summer Fourth, Bellevue Family 4th and other events around the region. America’s birthday is coming up on Wednesday, July 4, and it’s time to plan your celebration. Seafair Summer Fourth is Seattle’s big event, with music, food vendors, beer gardens, games and a kids’ play zone throughout the day ahead of the fireworks finale. 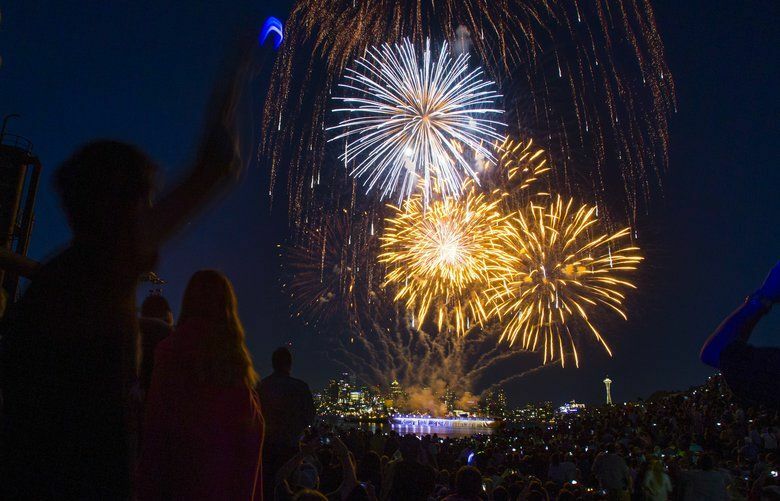 The fireworks show will feature hundreds of white strobes across the surface of Lake Union and a grand display of fireworks soaring up to 1,000 feet into the sky, synchronized to music. Admission to Seafair Summer Fourth is free, but reserved seating is available until it fills up. There’s no parking at Gas Works Park on the holiday, and parking in the neighborhood is very limited. If you aren’t within viewing distance, KIRO 7 TV broadcasts the fireworks show live, starting at 9 p.m.
On the Eastside, Bellevue Family Fourth will have music, a Family Fun Zone, food vendors and activities in Bellevue Downtown Park leading up to a spectacular fireworks show set to a performance by the Bellevue Youth Symphony Orchestra. Several streets near Bellevue Downtown Park will be closed Wednesday, starting as early as 1 p.m. Free parking is available after 6 p.m. at Bellevue Square, Lincoln Square North, Lincoln Square South, and Bellevue Place. 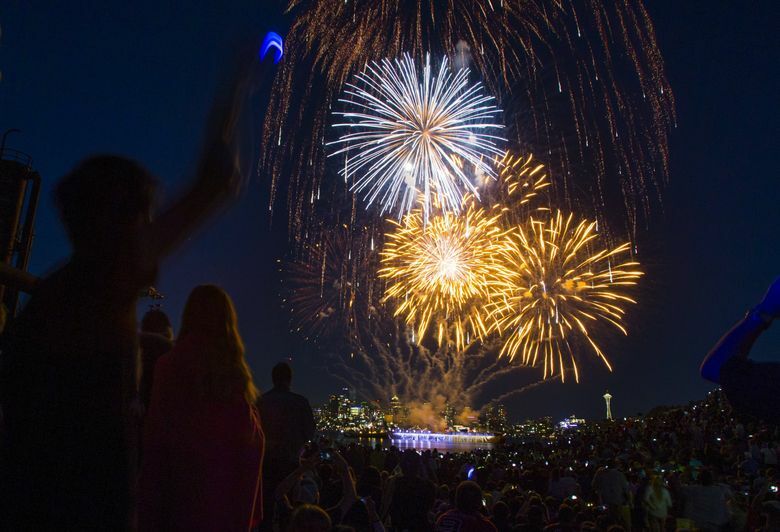 Outside Seattle, you can find a number of local Fourth of July fireworks shows across the region, including celebrations in Kirkland, Sammamish, Tukwila, SeaTac, Edmonds, Renton, Des Moines, Bainbridge, Everett and Tacoma. Parade fans will have a choice of several patriotic Independence Day parades, including in Burien, Everett, Bainbridge, Arlington, Issaquah, Everett and DuPont. Planning ahead and allowing lots of time to get to your destination is recommended, since most of these events draw big crowds and parking is often limited. Public transportation is a great option, but check holiday schedules first. Personal fireworks aren’t permitted at these events, and some venues prohibit or discourage pets due to crowds and noise. Check event websites for more information about items that are allowed or prohibited at each location. Have fun, be safe, and happy birthday, USA!